We share his sense of stewardship in supporting those organizations, and his equally compelling call to support them financially. (Quilters can do both by supporting the Kentucky Quilt Project – home of the nation’s first statewide quilt documentation project – by purchasing the Why Quilts Matter: History, Art and Politics DVD.) We all reap the benefits from those in the past who contributed to the research, preservation, programs, museums, production of quilt books and resources we enjoy today. We, in turn, have a responsibility to sustain that support to further honor and enrich this craft we cherish so much. We contacted Thomas and asked him to continue this conversation with our readers. He responded to our invitation so quickly and came back to us with so many insights on why quilts matter to him that we decided to bring it to you in two parts. 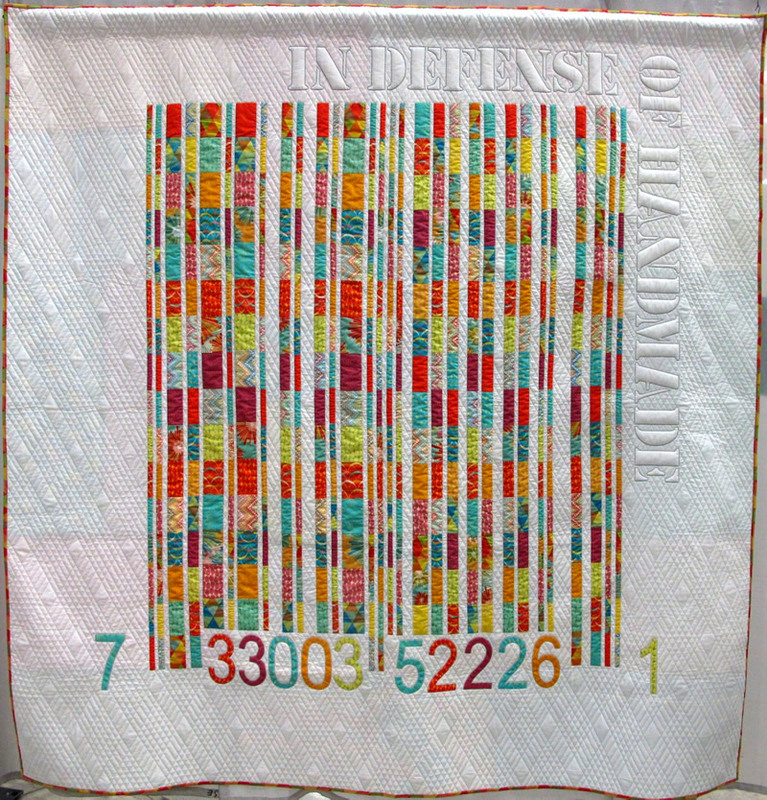 Part one addresses one of the “third rail” questions found in the Why Quilts Matter Discussion Guide, inquiring about the appearance of mass produced quilts in retail stores. If you ask Thomas Knauer a question about that particular topic you know his answer will be thoughtful, informed, and full of insight. Gee’s Bend reproduction quilts can now be found in Pottery Barn, Anthropologie, and other retail stores. When you see a reproduction quilt in a store, what is your reaction? I love this question. It draws on so many subtle considerations and distinctions: questions of the original vs. reproduction, handmade vs. mass-produced, human-value vs. commodity-value. I don’t believe the issues brought up in this question easily align themselves along the expected dichotomies. In the quilting community, along with most aesthetic practices, we tend to highly value the original object. We intuitively have an affinity with Walter Benjamin in recognizing a certain aura emanating from the original creation that is somehow weakened in reproductions and copies. On the one level I agree with this notion, but only when we are comparing similar circumstances: an actual Gee’s Bend quilt in a museum is indeed different from a reproduction in that same space. In that case the hand, and history, of the maker matters. On the other hand, I do think there is a certain value in reproduction quilts assuming a certain degree of respect is maintained. If we take the import of those Gee’s Bend quilts to not solely be about the labor and materials, but also the larger historical, cultural, and social context (the idea of the quilt) then those reproductions may well be expanding the scope of that historical importance. While these reproductions may be diminished versions of the original—pale copies—they do represent an expansion of the audience, which has a fundamental value of its own. Of course, I have concerns about the way in which the term “handmade” is marketed now, how mass-production has adopted the tropes of handmade in order to commodify a certain ethos of making. At the same time reproduction quilts in some way admit their status as a copy quite openly, which at a basic level shifts the emphasis from the basic fact of the quilts to the reasons for those quilts, an engagement of why certain quilts merit reproduction. This seems fundamentally different than a generic mass-produced quilt-object that relies entirely upon the idea of the handmade quilt in order to accrue value to itself. Rather than posit the idea of “as good as handmade,” reproduction quilts seem to involve a certain respect for the tradition and history of quilts even if they do not partake in the same labor process. Of course all of this also involves simple economics. Those designers, museums, and foundations that license their original quilt designs (especially the historically significant ones) stand to benefit economically from such arrangements. Not only do such deals expand the audience and spread the ideas, on a basic level they add another revenue stream for those artists (and their heirs/conservators/etc). As a working artist I can tell you that making a living in the quilt world is well nigh impossible, so I am loathe to begrudge anyone a means of doing so. In the end, this all may come down to a question of wherein lies the value of a quilt. Is it the labor? The materiality? The design? The idea? Obviously quilts involve all of these things. What is really important is to weigh all the factors relative to the specific context in which any quilt resides. I wish I had a more succinct answer, but I would like to leave you this one last thought: reproduction and imitation are very different things. Reproduction—I would hope—involves a certain degree of respect; imitation, on the other hand, seems to reside closer to the sphere of fraud. Coming up on September 3, 2013: Part 2 of Why Quilts Matter – Q&A with Thomas Knauer: exploration of handwork vs. machine work, and just how a quilt arrives at the place where it is considered “museum worthy.” Stay tuned! Join us on Facebook or sign up for our monthly e-newsletter to receive updates about the Why Quilts Matter: History, Art & Politics Q&A Series, and more. Thomas Knauer earned a BA in Studio Art from Kenyon College and Masters of Fine Art from Ohio University and from the Cranbrook Academy of Art. 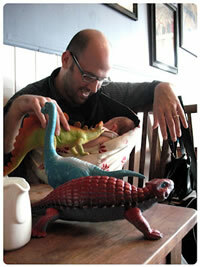 He went on to teach design at Drake University from 2002-2007 before moving to upstate New York to start a family. Thesaurus, Knauer’s latest fabric line for Andover Fabrics, debuted in spring of 2013. More on his website Thomas Knauer Sews. Images in this post are courtesy of Thomas Knauer.